Our subgroup started our tour by visiting the Greek Revival style home of Julie Nucci and Jim Overhiser. 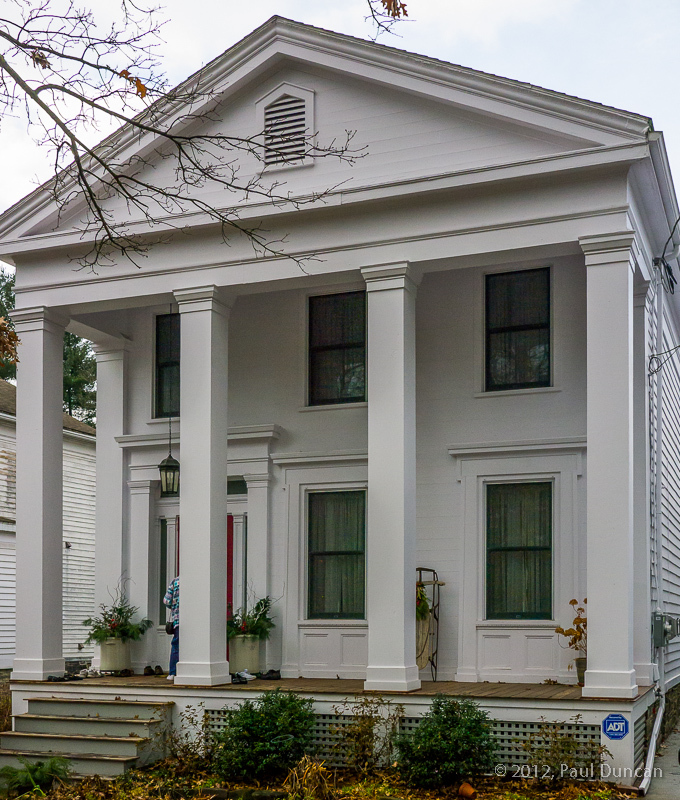 Their home was initially constructed in 1851 and features a full-height portico with lotus capitals on the columns. Severely damaged in the flood, the owners have restored it beautifully and, very smartly, have incorporated protections from future flooding damage such as raising the mechanicals above flood level. We were struck how closely their tastes jived with ours–the selection of lighting fixtures, furniture, and interior design could be the template for what we’re trying to do in our own home. A compelling slide show on their TV showed the damage they endured from the flooding and some of the work effort as they tore out and rebuilt, improving as they went along. 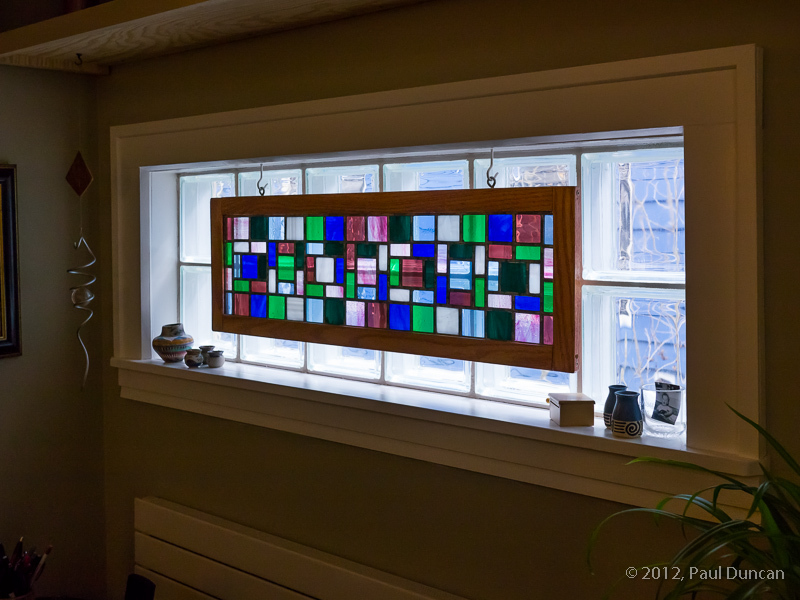 Jim Overhiser created very attractive stained glass window pieces and apparently did a lot of the nicely designed molding details. We were struck by the large Jay Hart print of the Nile region hanging on their wall. The juxtaposition of one of the world’s great rivers and a house reborn from the destruction by the Susquehanna River was striking. 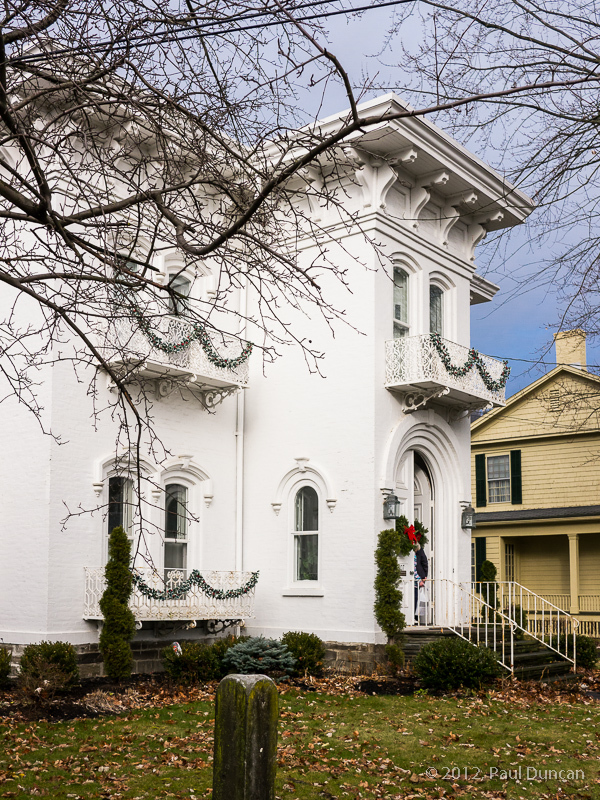 Next stop on our tour was the distinctive Italianate home of Roland Heitmann, built in 1865. We’ve often admired this beautiful home from the street on our strolls through the neighborhood. (We currently live just a few houses down.) 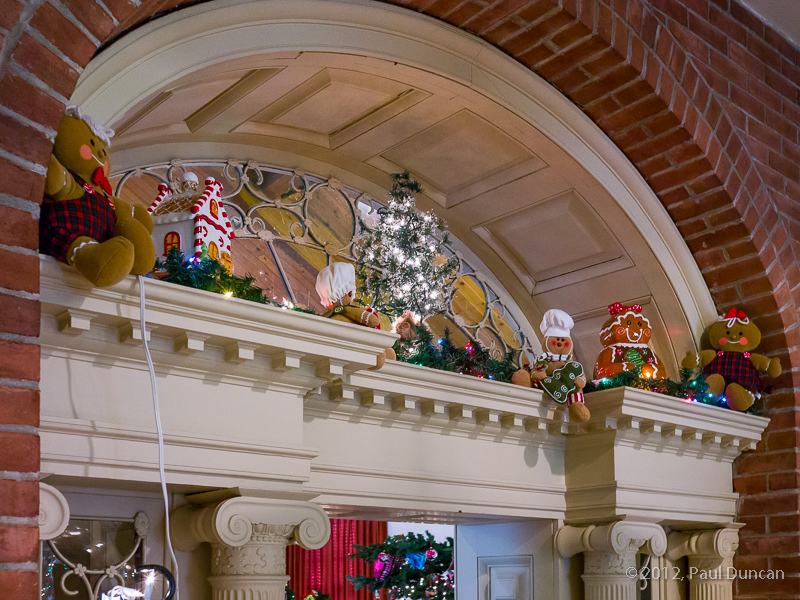 The outside of the home is distinguished by the impressive roof brackets, the ornate iron work of the balconies and, most of all, the beautiful arches of the windows and doors, a theme carried throughout the home. Inside we were treated to Christmas singing by Mr. Heitmann’s talented and fearless daughter. This home was one of those on slightly higher ground that was spared the devastation endured by nearby homes in the flood of 2011. Nevertheless, the owner has been quite busy renovating and improving over the years, always with a sensitivity to the original style. The arched windows have matching arched louvered wood shutters inside that are quite beautiful and distinctive. 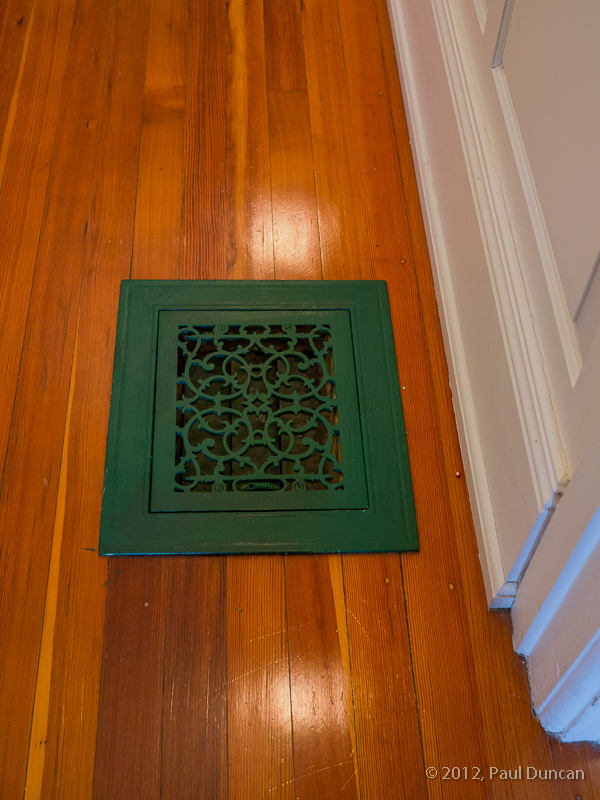 Even the floor registers show the ornate designs similar to those on the exterior balcony ironwork. 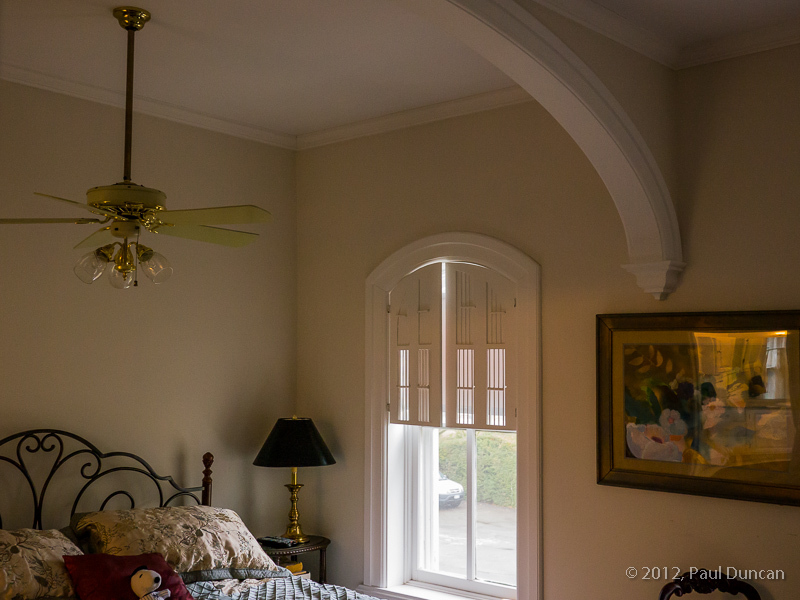 An elegant arch spans one of the bedrooms, bisecting the room and repeating the curves of the arched windows. Wishing to downsize as children leave home, Mr. Heitmann has put his beautiful home on the market; it’s hard to imagine anybody resisting this home’s immense appeal especially after seeing the inside. Wandering over a block to Front Street, we got closer to the river and a fascinating story at Kim Trahan’s 1802-1805 Federal style home. 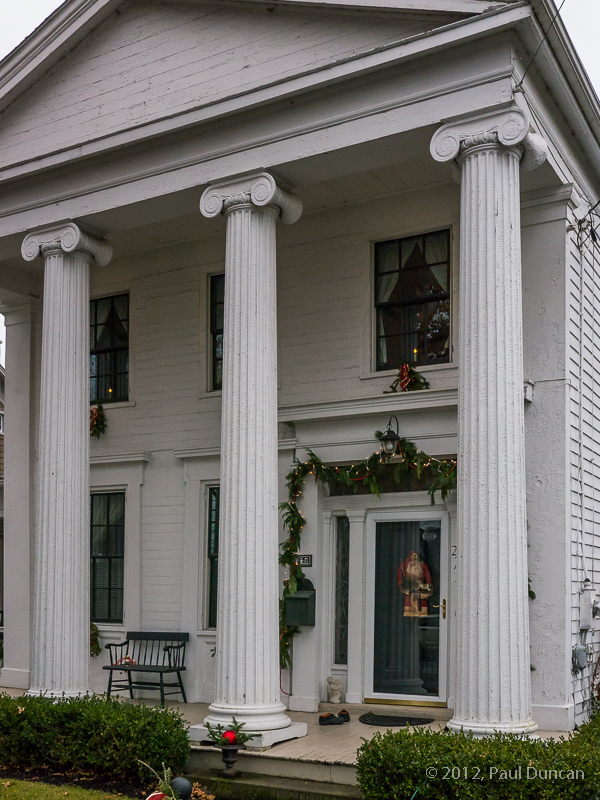 It has gone through many incarnations, originally build as James Pumpelly’s land surveyor office, it then became a hardware store, then the Owego Post Office, and then the home of the Owego Gazette printing press before becoming a residence in 1848. Around that time the Greek Revival portico was added. 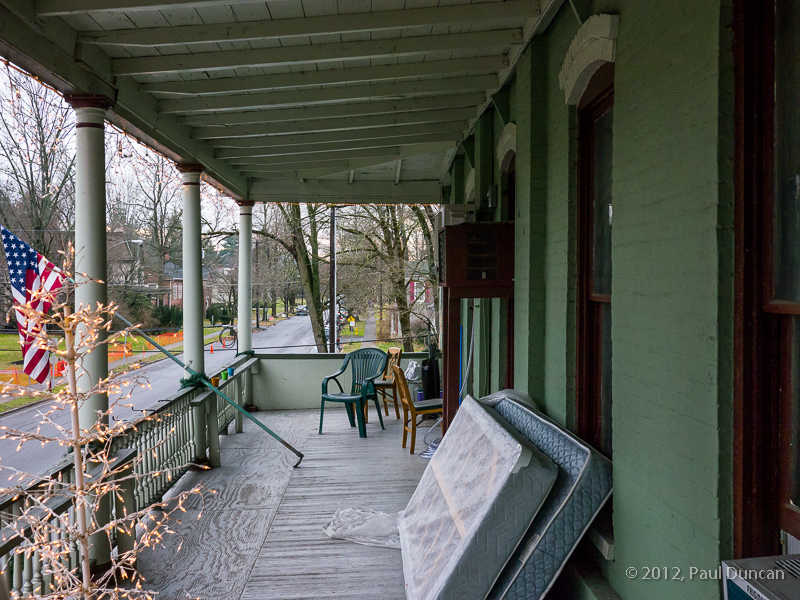 With a view of the Susquehanna River across the street, this home was among the first to get clobbered by the flooding in 2011. Kim Trahan’s evocative description of her experience is quite wrenching, both in terms of the extent of the damage and her effusive praise of friends, neighbors, and complete strangers who all pitched in to help toward the recovery. She mentioned the 85-year-old couple who drove up and said they couldn’t help with the physical labor but would she like something to eat? The couple were making the rounds of the town offering hot sandwiches and beverages to the exhausted and traumatized flood victims and volunteers, many of whom were months away from being able to cook a hot meal in their own homes. She expressed amazement at the young woman who pulled up and pitched in for several hours as they hauled furniture outside to hose and scrub down from the fetid flood waters and mud. You would never know this home suffered the amount of damage it did. 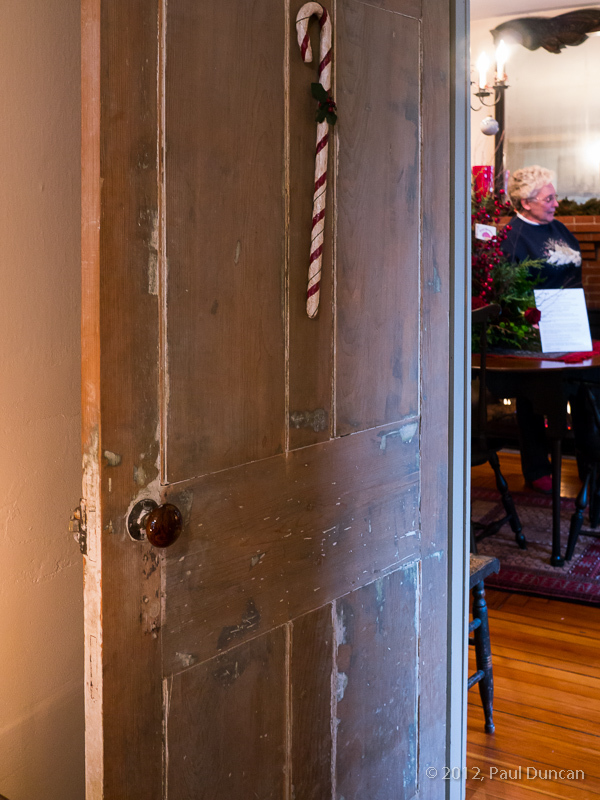 It’s warm, filled with character, and is decorated with historical artifacts and decorating touches that fit perfectly. We loved the interior doors stripped of years and layers of paint. 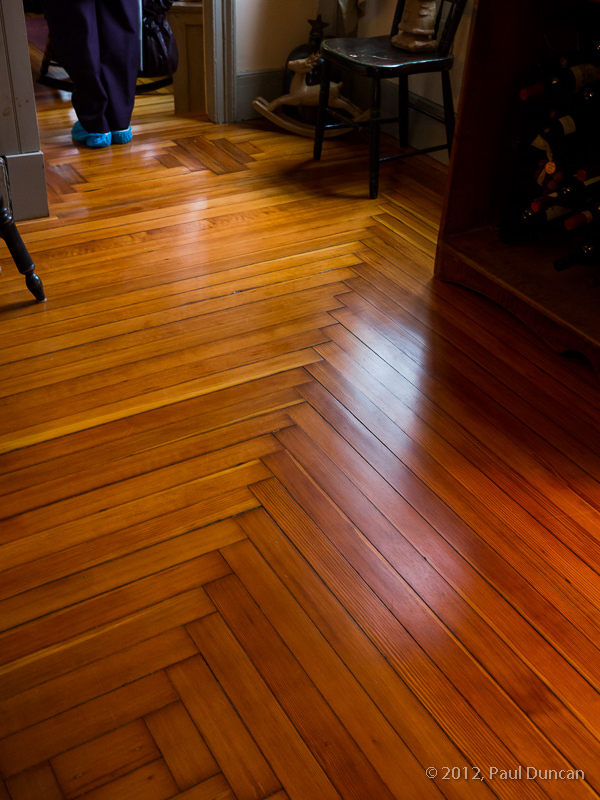 The wood floors were beautifully laid out in interlocking patterns. 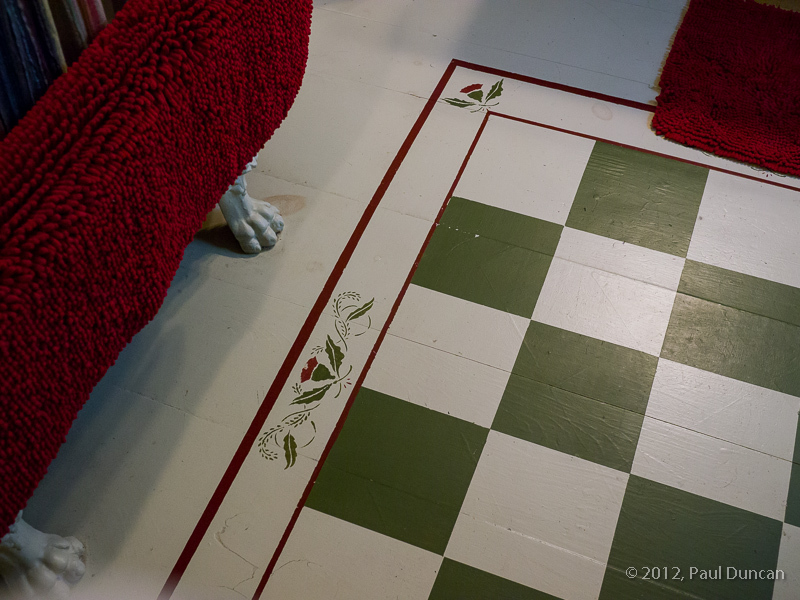 A bathroom has an old refurbished claw-foot tub and beautiful period-appropriate painted wood floor design. This home is clearly a labor of love. 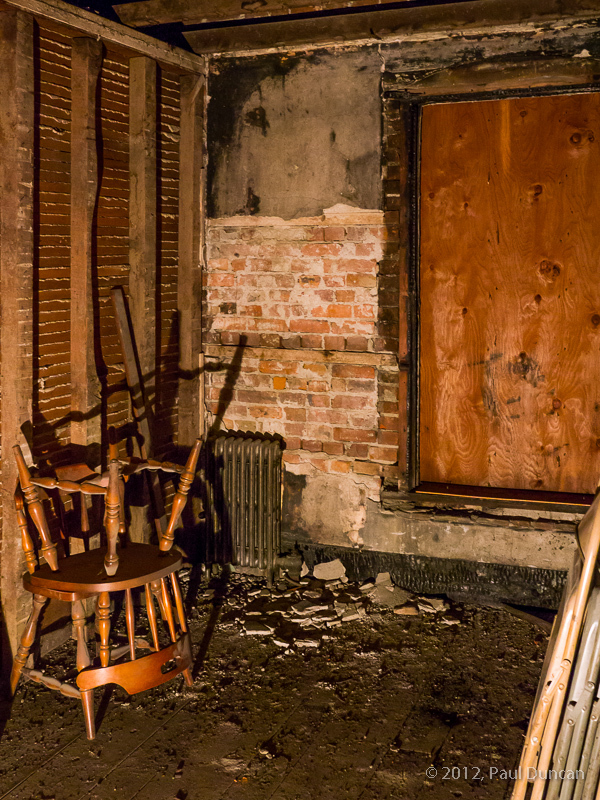 Heading west, we stopped by the Parkview Hotel whose current owners, Mark and Beth Johnson, have an ambitious 10-year plan to rebuild the neglected structure into an appealing hotel combining rooms, event venue, bar, and restaurant. 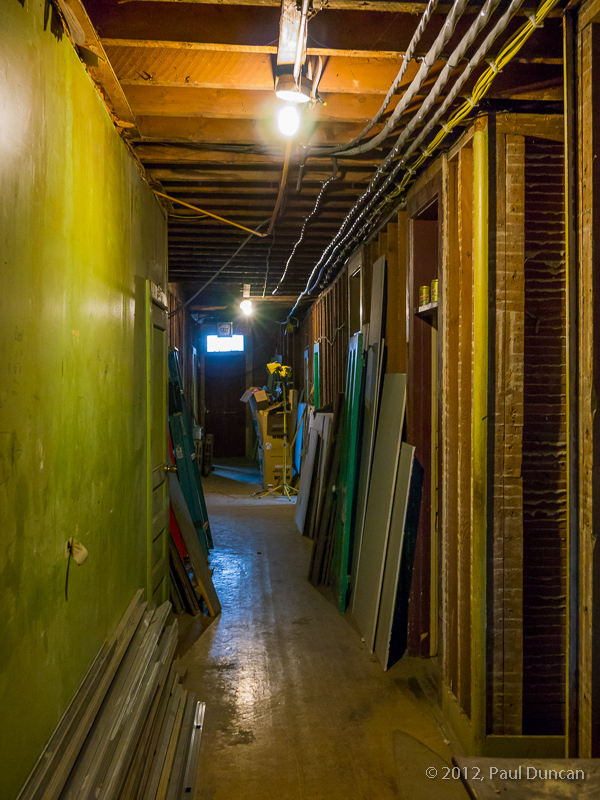 The bar and restaurant are going strong but the 2 floors above are in very early stages of renovation. 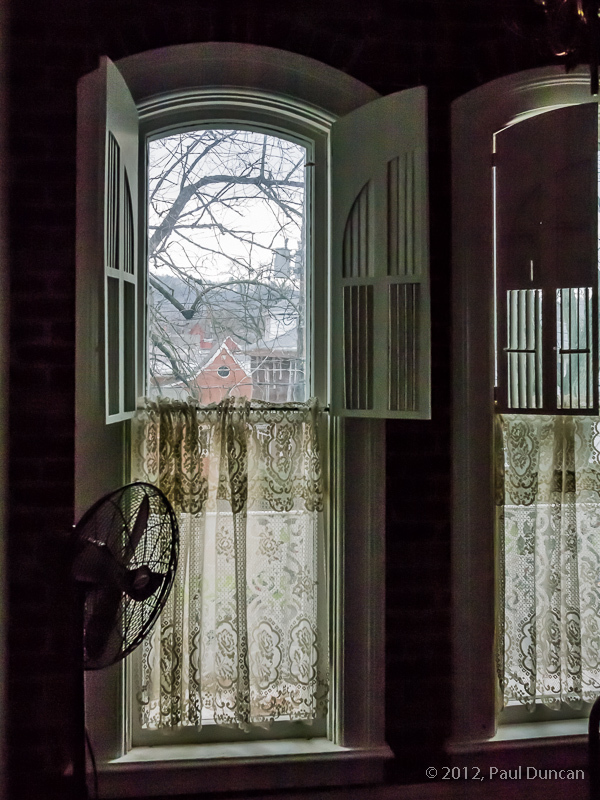 Built around 1867, the hotel originally had 23 rooms on the 2 upper floors with one bathroom on each floor. The owners are gutting the upper floors and creating a smaller number of rooms, each with private bath, and hope to host guests for brief or extended stays. The ambitious plan stages the renovation phases so that as each phase is complete, it will help fund the next phase. The hotel is distinctive in many ways. It has access to a section of underground railroad tunnel (although now unsafe). 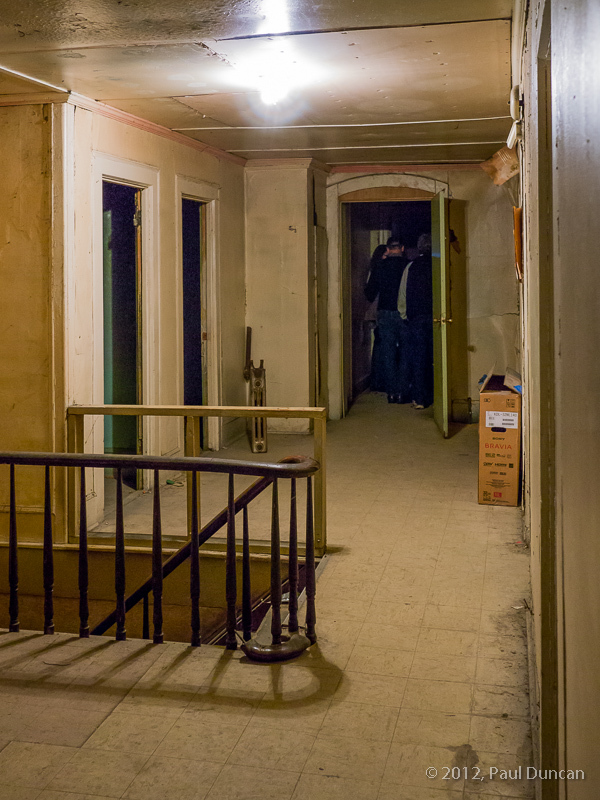 The current owners invited a ghost-hunting team to investigate the curious incidents that have occurred in the hotel. One of the previous residents worked as a janitor at the hotel and, in 1999, won a lottery jackpot of $45 million from a ticket purchased at the bar. Our next stop on the tour was at the attractive Greek Rivival style home of Timoth and Wendy Deis. The front facade with the beautiful decorative window moldings and, in particular, the very handsome entrance with impressive lintel, transom, and sidelights, present a classy (and classic) impression. This home was built around 1845. The recent interior renovations are quite extensive and more contemporary than most of the other classic homes we’ve seen. Beautifully and tastefully done, we were struck by the gorgeous kitchen with dark cherry cabinets, and back family room in particular. We had to linger around the dining area with the amazing selection of munchies provided to the tour guests. Was Martha Stewart involved in the preparation? It was a tasty and tasteful presentation. 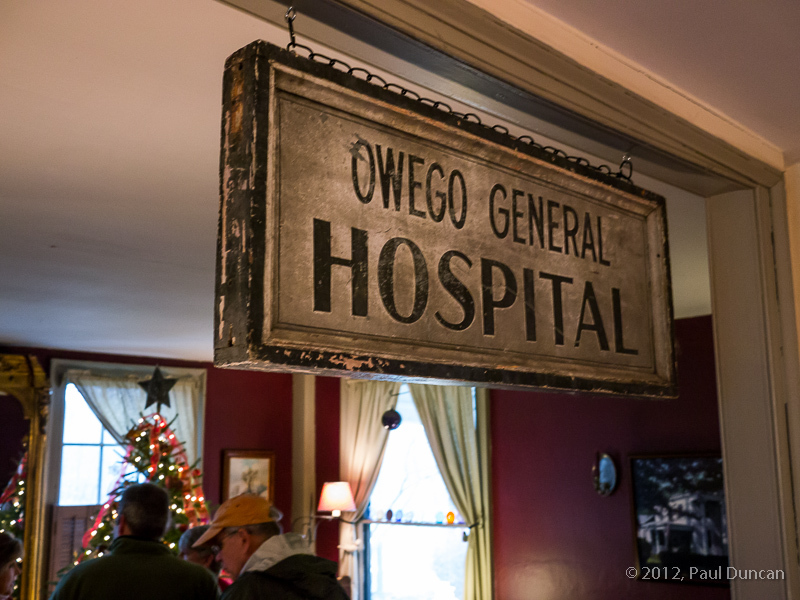 Our next-to-last stop (just before our cappuccino-and-scone stop) on our tour was the Tioga County Historical Society. 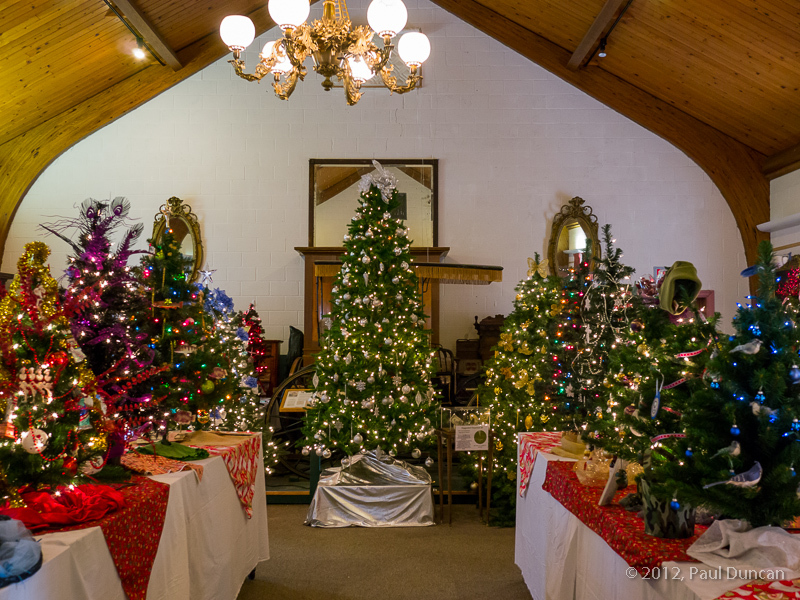 It is currently in the middle of their annual O Tannenbaum Holiday Extravaganza silent auction fund-raiser involving about 100 Christmas trees decorated by individuals, businesses, and organizations to help the Society raise money to recover from the heart-breaking losses of historical records during the 2011 flood. The building includes a grand Federal-style front entrance, once the main entrance to the the James Pumpelly residence. It features an impressive arched transom, Ionic columns around the sidelights, and dentil embellishments on the entablature. 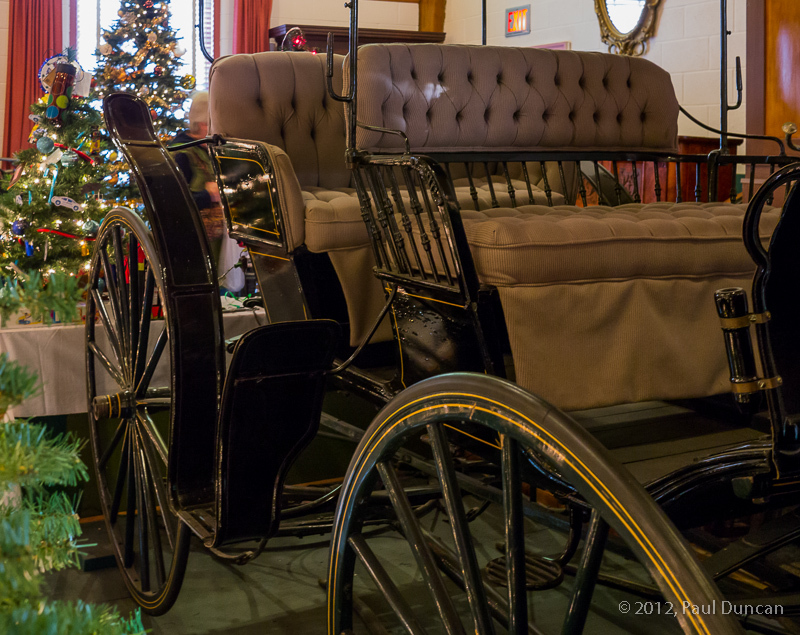 A horse-drawn buggie made by Owego’s Ross and Moore is one of the items in the Society’s collection. 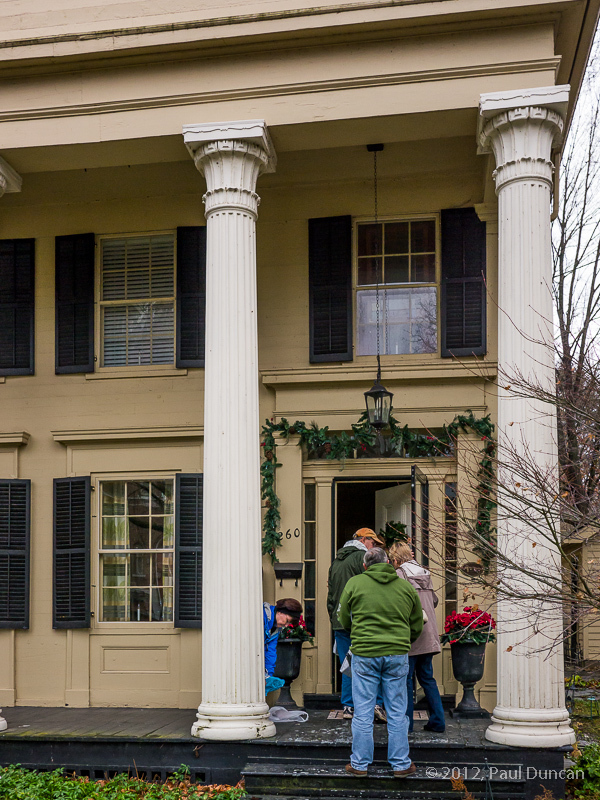 We were first-timers at the home tour and see why some people come back to the event year after year. 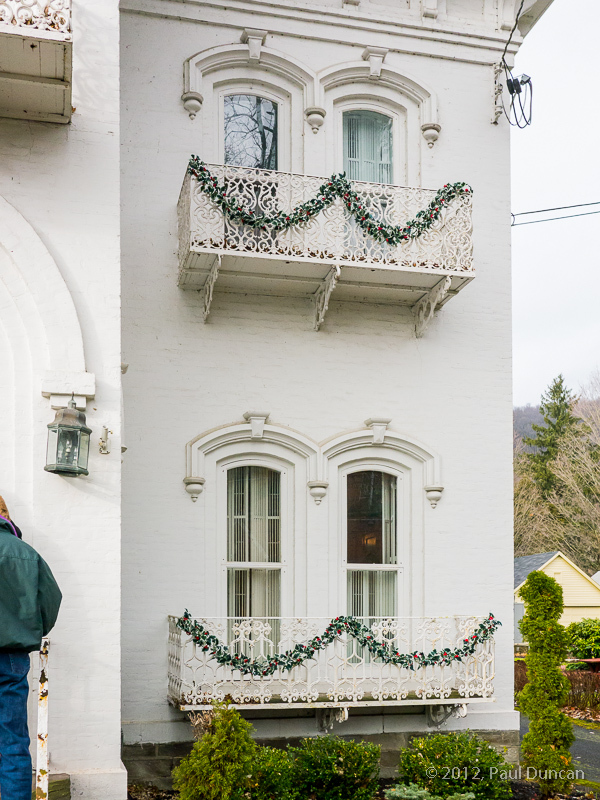 Organized by the Tioga County Council On The Arts, we highly recommend it to anyone with interest in local history, 19th century home styles, or just a chance to meet some interesting and resourceful people who are doing some great things through their restorations, artistry, cleverness, and devotion. We’re quite pleased that we’re privileged to live, however briefly, among such a superb group of neighbors. 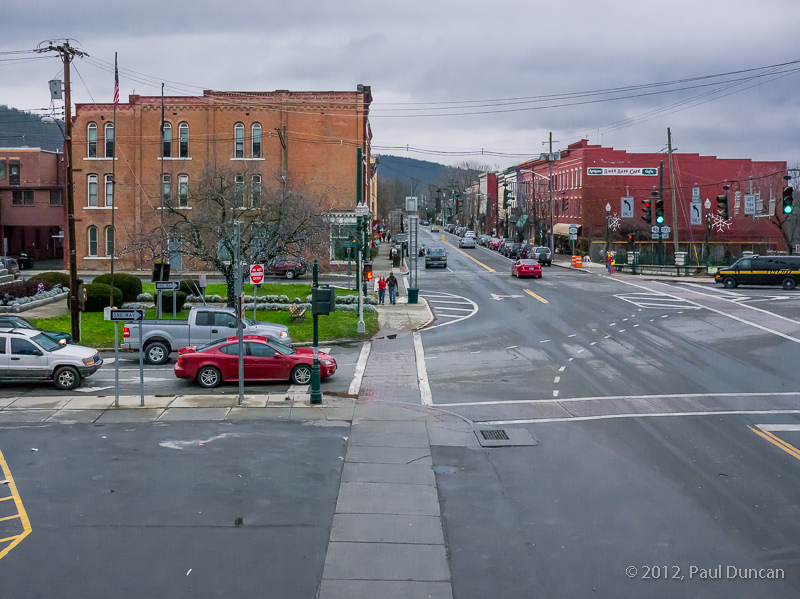 Rock on, Owego!